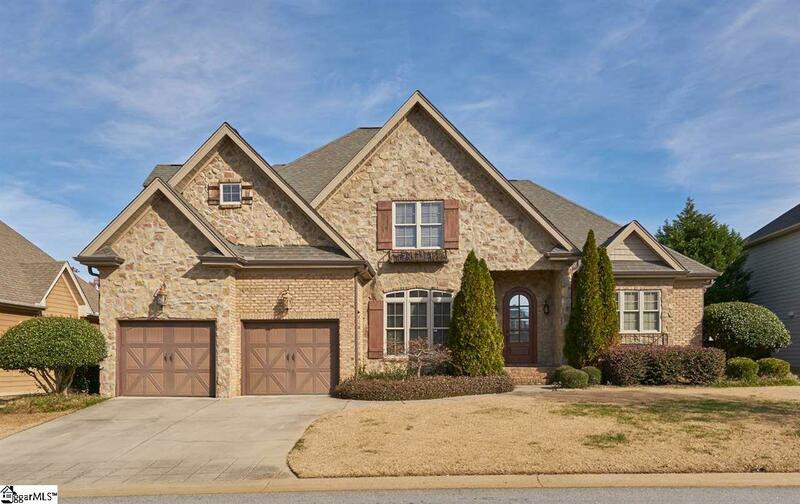 Stunning all-brick and stone custom built home in Shellbrook Plantation just minutes from Five Forks Simpsonville. 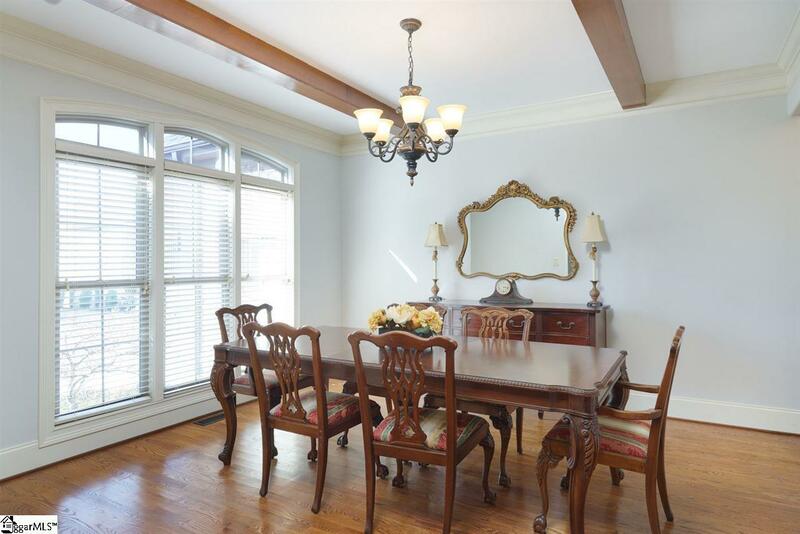 This well-appointed home boasts so many special details from the stained beams in the dining room, foyer and Great Room, to the furniture grade cabinetry of the kitchen and master bathroom to the stone paver patio in the fully fenced rear grounds. Plus it has a sought-over floor plan with the master suite and a guest suite on the main floor. In fact, the master has a vaulted ceiling, walk-in closet, and a large bathroom complete with two vanities with granite countertops, a walk-in fully tiled shower and garden tub with tile surround. Upstairs you'll treasure not only a loft-style den or recreation space but also a dedicated bonus room over the garage and two additional bedrooms and a large hall bathroom. 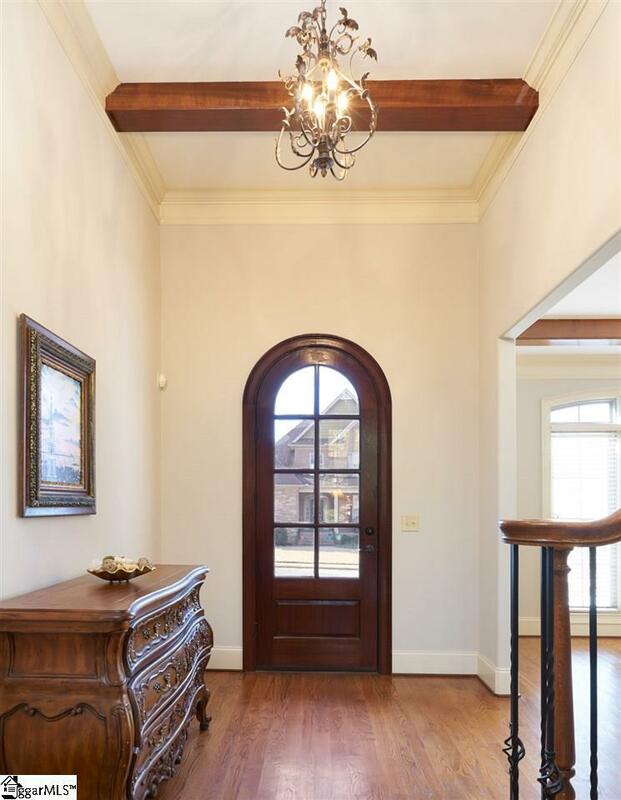 Hardwoods grace the main level living area and ceramic tile flooring in the three bathrooms and laundry room. The open floor concept is beautifully executed in this home with the vaulted Great Room with a spectacular stone faced gas log fireplace and a custom shelving system. The kitchen showcases granite countertops, stainless steel appliances and a charming breakfast area with a custom nook with overhead lighting. The backyard features not only the patio area, but raised garden beds and walkways. 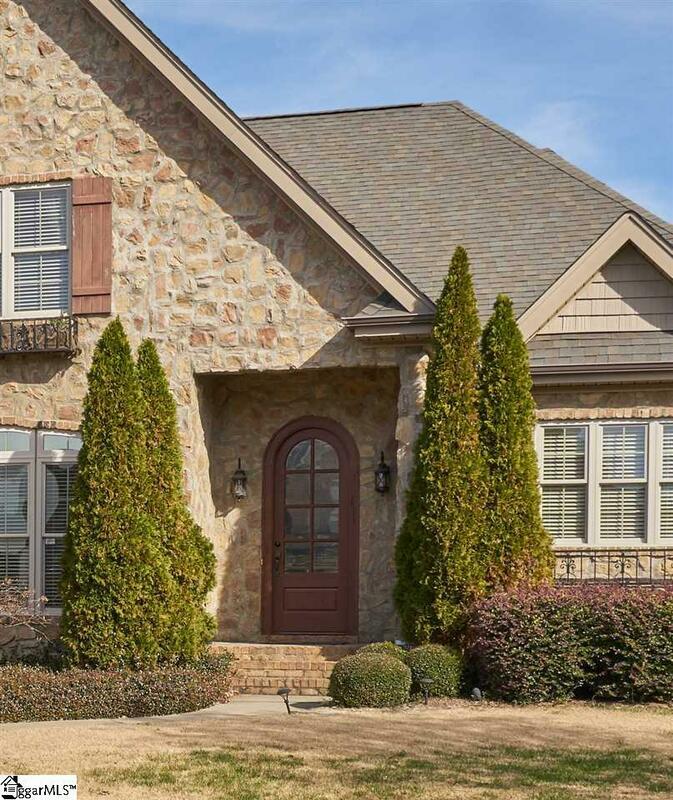 Shellbrook Plantation offers a pool, playground and common areas.